We have live entertainment most nights of the week and show your favorite sporting events on one of our 10 high definition flat screen televisions including the largest HD projecting screen in town. Gaming such as Golden Tee golf, Big Buck Hunter, Indiana Jones Pinball and a tournament size pool table are available in the upstairs bar. Epic Wraps & Music Events! 635 Northwest 14th St. 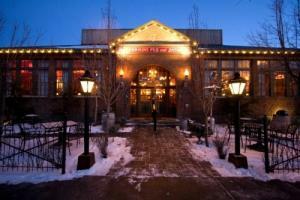 The Tower Theatre is the crown jewel of the performing arts community in vibrant downtown Bend, Oregon. 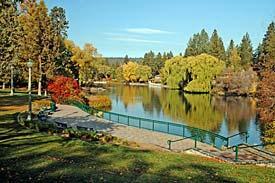 It is set between the tree-lined cobblestone sidewalks of Wall Street and NW Brooks Street, adjacent to Drake Park and Mirror Pond on the Deschutes River. The Old St. Francis School, conveniently located in the center of downtown Bend, has undergone a transformation from 1936 Catholic schoolhouse to lively destination hotel complete with classrooms-turned-lodging rooms, a pub, brewery and bakery, a movie theater, private meeting and event space and a truly fantastic Turkish-style soaking pool that beckons day travelers, shoppers, hikers, skiers and snowboarders alike. Check their events calendar for the many scheduled concerts they host throughout the year. The Sound Garden Studio, a full service sound stage with production rooms and ISO room. Student lessons,piano bass guitar ukulele and more. We love bringing top sounds to the Garden, from Australia to Alaska and New York, or London you see them at the Sound Garden. Hard rocking, images projected on the ceiling, loud, and fun - for the young or adventurous. Players is a hard rock bar. 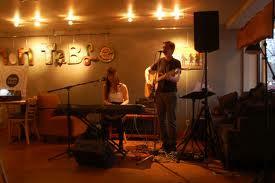 Live music and dancing on the weekends draw loud energetic crowds. A full bar serves reasonably priced food and a good selection of beers and cocktails. They have a pool table, dart board and video poker for those so inclined. Players sports a loud and crowded atmosphere for adventurous and fun-loving people who want to get up, dance, and be energetic. The Annex is a 150 person room within the Midtown Music Hall. It features a full bar, sound system, lounge area and a pool table. This is a sub-venue of Midtown Music Hall. 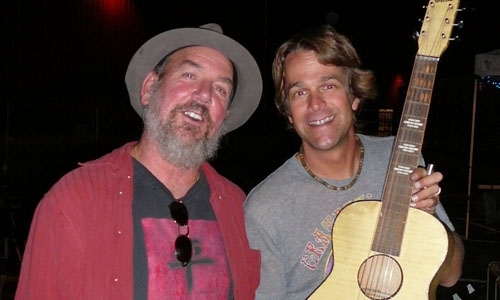 This concert series has provided Bend the opportunity to experience some of the biggest names in the music business in one of the most intimate outdoor venues in Bend, Oregon. 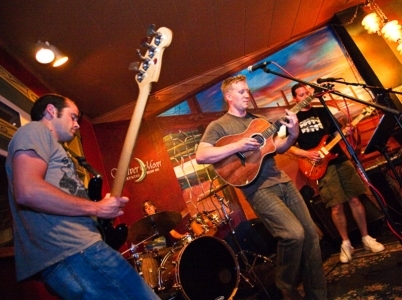 Concerts held in The Athletic Club of Bend courtyard provide concert-goers with an up close and personal experience with each musician and amazing sound. Each show will open with a special guest performance. . Generally the opener will begin at 6:30pm, and the headliner will follow at 7:30pm. Doors are 6:00pm, subject to artist approval. These are rain or shine events. The M & J Tavern is a true honky tonk pool bar with the best juke box in town! They still serve Olympia stubbies & have occasional live music. 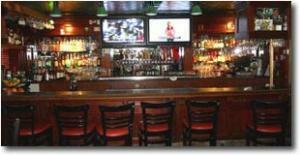 Offers a beer bar for your enjoyment. We are working away on the 2012 concert and event schedule. New shows will continue to be announced throughout the spring and early summer. Sign up for our newsletter you will receive an email as new shows are booked. You can also friend us on Facebook for uber current info. Bend's only country western bar and grill. Hosting a 1000 sq ft dance floor. 2000 sq ft outdoor seating. Home of the one pound burger, 9 inches wide! 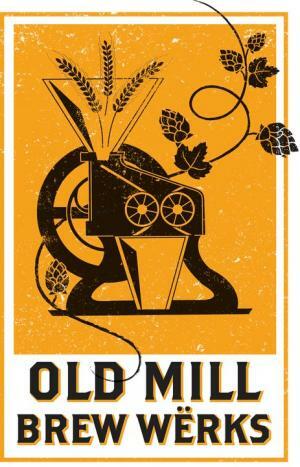 As brewers of hand crafted ales, we are outdoor enthusiasts who look forward to sharing our craft beer that are most balanced and of the highest quality. Based in Bend, Oregon, we have a passion for living every day to the fullest. 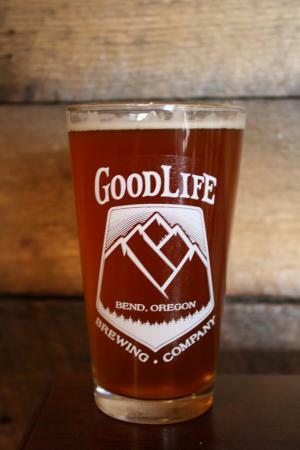 Whether on the tee box, at the top of South Sister, or in the backyard hammock, your GoodLife should be paired with our GoodLife. Play hard, live easy and enjoy GoodBeer for GoodLife! There is something that has drawn us all to the beauty and expanse of the Central Oregon wilds. We didn’t land here by accident. In fact, we sought out a place of refuge, a place where we could encourage our own growth and follow the passions not always endorsed by the mass of humanity found in larger urban areas. We wander, not lost but searching for places within this landscape that will inspire our individual souls to reverberate with the immense joy of an environment that aligns perfectly with our goals. A hiking trail where the dogs can run through ancient woods without worry of colliding with a crowd. That glade of trees filled with powder but absent of competing snow-riders, silently waiting for us to return and make those three perfect, floating turns. The tiny hill-top parking spot where the only lights we see are the infinite galaxies above the heads of the few loved-ones we deem worthy of inviting into our peaceful place. A stretch of burgeoning river that is ripe with fish smart enough to play with the human standing in their midst. All are available if you just know where to look. Century Center features a beautifully lit courtyard, complimentary stage, kitchen and green room. We also share a courtyard with GoodLife Brewing Company, Volcano Vineyards and Backporch Coffee Roasters whose services are available to your event. 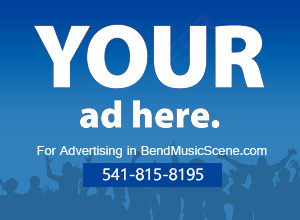 Known for events such as the Everclear concert, Bend Radio Group’s Monsters Ball, Rise Up Events’ “Roots Festival”, Last Band Standing presented by Combined Communications, as well as being recognized as one of Bend, Oregon’s premier wedding reception locations. With this venue, expect great things to come. 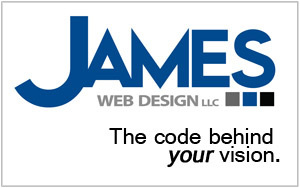 We offer a special thank you for your partnerships and your support. 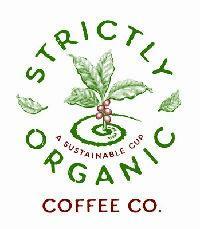 The mission of Strictly Organic Coffee Company is to provide fresh sustainable products, (Local, Certified Organic and Fair Trade whenever possible) in a sustainable manner, to enrich the lives of our customers and allow them to make environmental and socially conscious choices. Common Table exists to feed all people, cherish the Earth, and pursue awareness. 1) We feed all people through non-profit Common Table, using profits to provide subsidized meals at our Common Table, as well as supporting hunger initiatives and sustainable farming practices around the world. 3) We pursue awareness by recognizing and respecting all people; recognizing the appropriate human relationship with the Earth; recognizing the health of our physical, intellectual, and spiritual selves. 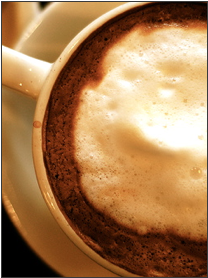 Specializing in good times, quality entertainment, and great food and beverages, River Rim Coffeehouse is a family friendly neighborhood cafe located in Southwest Bend in the Brookswood Plaza. 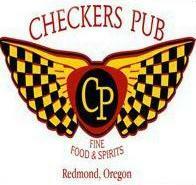 Checkers Pub is a family owned bussiness that is warm and comfortable. Come as you are. No need to put on any airs here. We have great home cooked food and freindly service." CHECKERS PUB, Fine Food and Spirts" "Great food.....Fun people." 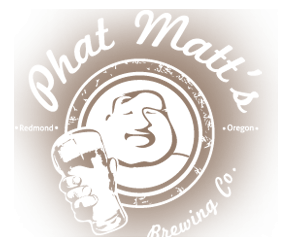 We at Phat Matt’s Brewing Company invite you to revel in one of life’s greatest pleasures, a pint of Phat Matt’s. Our approach is simple, no nonsense craft beer. Filled with the purity of Central Oregon and brewed with a chef’s touch, we strive to create beer that blends into the conversation.